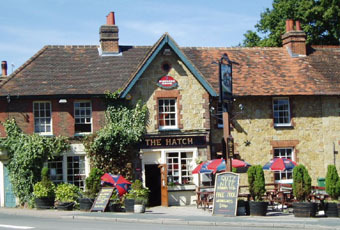 A fine and friendly local pub, with good food and atmosphere. Been in this quiet/small boozer a few times, and noticed the pastime of the owner and some regulars - which is to comment on those customers who have just left. Not in a particularly flattering way, but with much laughter. Sad really. One local regular - Robert - seems to be the recipient of significant levels of humorous observations. But he is, by no means, alone. Fine establishment in the Redgate area - with good food, beer and atmosphere. Numerous buses pass outside, and this different type of place is well worth a visit. The dysfunctional dog is a problem. We don't all have to meet or hear this loud and nasty animal (not his/her fault). It's a pub, not a kennel. Beer, staff and food - excellent. The new owner, Anthony, has bedded-in now, along with his winsome beagle, Bertie, and although trade remains tricky - in the pub climate more widely but also at this time of the year - I have found what is being offered so far to be good quality. The food is clearly what he is hoping will lead the pub back to viability, and there's an enticing spread of what many would consider more-restaurant-orientated meals available regularly. In the apparent absence of a regular chef, Anthony often gets his oven gloves on and cooks the dishes himself, and he appears to have a good touch. Prices are not the cheapest, but for the kind of food being served, it fairs well against many a local restaurant's pitch. The drink is varied, with a flagship four (sometimes up to five) cask ales available, making the bar slightly more reminiscent of its freehouse '90s heyday when eight pumps were in use. Most beers are 'locales' and I have found them to be kept well. Pricing on these seems particularly keen, especially in an environment which clearly has had considerable money spent and is pitched at the higher-end of the market; one is all-too-used to the £4+ pint in such places but less-so here. The rejuvenated décor is slightly quirky in places, but comfortable and individual; Anthony's evidently put his own stamp on it, but has done so in such a manner as to compliment and enhance the original building. The log fire is still roaring and is most welcome on colder evenings. One may not always realise it, but there is a large amount of capacity here, at the rear as well as what's immediately visible front-of-house. The difficulty here is that one could do everything right, and yet still run the risk of failure when the takings are added-up though no real fault of one's own. The Hatch once benefited hugely from both passing trade from local business (primarily those from the Law Courts - both sides of the bench!) and a culture of acceptance (if not encouragement) among employers of lunchtime drinking, which helped prop things up even if evenings were a little thin. Alas, both those things have dried-up in recent years; a distinct lack of parking locally also prevents it from becoming the 'destination' pub it could be for eaters. These factors will make it so much harder to make the venue a sound economic proposition longer-term. But I applaud the new team from attempting to bring back a characterful and cosy local pub from the brink. If nobody ever tries, then failure is inevitable - while it's still a possibility, it is now no longer the certainty it seemed to be this time a year ago. All the best for the future.